I have bad news for you. When captain Adriano Peluffo left the port of Cartagena - Colombia Fred wasn't in good shape. I think that Captain Peluffo's celebration of New Year's day was with too much alcohol. Fred was with hangover and continued drinking. It was impossible to control him, and he became a friend of a motorcyclists' gang, and continue drinking. 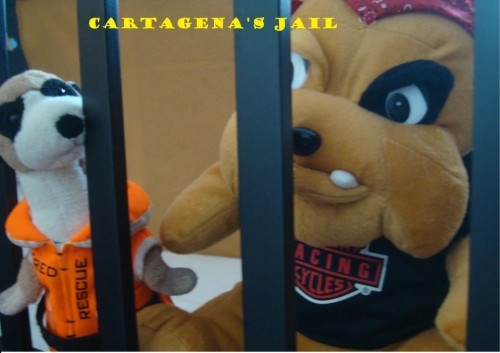 Last night he didn't come to my home but today the Police Department of Cartagena called me to inform that Fred is in the jail because he was under the influence of alcohol and doing disorder in a disco. He and one of his "friends" are imprisoned. I am so sorry about the situation but tomorrow I will do the impossible to bring him back to my home. Meanwhile I will continue looking for a good vessel with destination of Far East.